For this week’s webletter, we have the privilege of offering the article “Getting New Patients in the Door” by MGE client Laura Hatch, MS, Office Manager of Hatch Dental. Laura Hatch is the founder and CEO of Front Office Rocks, the leader in web-based front office training for dental practices. Front Office Rocks was founded when Laura recognized a desire to share her successes with her fellow dental practices. 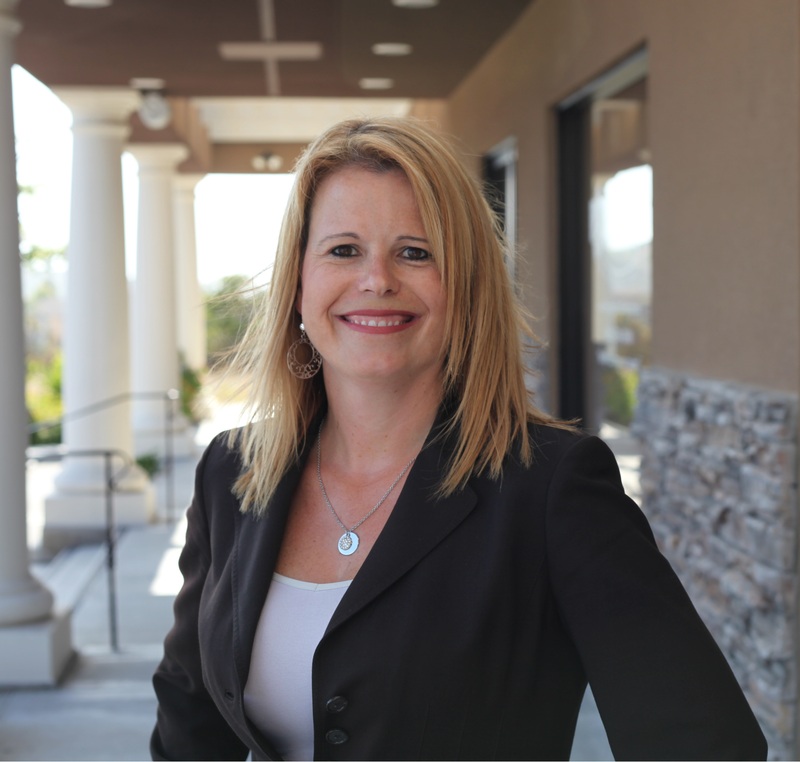 Laura earned her Masters in Organizational Development from Johns Hopkins University and has worked with her husband, Dr. Anthony Hatch to start and grow two extremely successful dental practices, one outside of Baltimore, MD and their current office in San Diego, CA, to million dollar production offices. They are a fee for service practice with a staff of over 16 that is focused on exceptional customer service and average about 80 new patients per month. As the leading authority on web-based dental front office training, Laura has developed the training methods that consist of established ideas and practical training that can be easily implemented into any office. Front Office Rocks is headquartered in San Diego, CA with an East Coast division in the Washington, DC area. To register for one of Laura’s highly sought after seminars or to book Laura as a speaker, contact Front Office Rocks at 858-344-8353 or online at www.FrontOfficeRocks.com. 1. WE SPEND A LOT OF MONEY ON MARKETING AND WE WANT TO MAKE SURE THAT WE GET RESULTS! a. Many times a person calling in with a question is not counted as a possible new patient – they should be. b. Any person calling in that is not a current patient is a POSSIBLE NEW PATIENT. c. Have a call-in tracking form so that all phone calls coming in can be counted. Especially for new patients – get their name, number and then mark the date they scheduled or if they did not, then why. a. Make sure that the person answering the phones gives proper attention to any and all phone calls. b. Have anyone that might possibly answer phones trained on this, dental assistants, hygienists, etc. b. THE EXPECTED PRODUCT OF A SCHEDULER/RECEPTIONIST IS TO GET THE PATIENT IN THE CHAIR. b. It is our job to acknowledge their concerns and then build a good relationship. c. If your response to these questions starts with “NO,” then they stop listening. Once you start with “no,” then you are digging your way out of the hole again, which makes it much harder to get that patient to come in. You may not have Saturday hours but if a new patient came in and needed a large case completed, and could only come in on a Saturday – would you open? Most likely, yes. When people ask that question I find it is because they don’t think they can get time off during the week – but a good scheduler can get them to come in early, over lunch or at the end of the day. Once we get into good communication with the patient, we explain that their HMO will not pay for them to come to our office, but a lot of our HMO patients have opted to come to us with our $99 new patient special because they have found that they could not get into their HMO office for months or that they did not really like the HMO office that they have found. If the patient decides to still try to find an in-network HMO office – keep their name and number and follow back up with them in a day or so, many times you will find that they had a similar problem and still might schedule with you. Worst case scenario they don’t but that follow up will be good for when they tell their family and friends about your great customer service and care. i. How did you hear about us? ii. Why are you calling? iii. Did you just move into the area? iv. Where do you live? v. What school do your kids go to? f. Finding out something in common with the person will help them build affinity for you and your office and that will set you apart from any other dental office they have called in the past. a. Make it easy for a person who is calling around for a second opinion or consult to get into your office. A suggested thing is to offer free second opinions and free consultations. b. Patients that are calling around are already sold on the idea of needing the work but they are just not sold on the dentist that presented it to them. c. The close rate on a second opinion is good – make it easy to get them in. d. Get them and any other new patients in as soon as possible. They are motivated now so get them in now. Next week they might get a flat tire or a big bill in the mail and their dental motivation might decrease – get them in now. a. Some people call around looking for prices. Avoid giving fees over the phone. We don’t want people making their decisions only on cost. The prospective patient may not have a lot of understanding of dentistry or the importance of certain procedures – they do however understand cost! Until the doctor has examined them we have no idea what they actually need, so if you were to quote them a specific fee for a procedure – it may be completely inapplicable after their exam and diagnosis. b. If they call and ask for fees, let them know that it is hard for you to tell them that over the phone and come in for a free second opinion. c. If they ask again – explain that each doctor diagnoses and treatment plans differently so they would need to come in at no charge to find out what your doctor will say. d. If after all of this, they persist then give them some type of price range from best to worst case scenario for the procedure they are asking about and tell them they should come in so we can tell them more and help them figure out how to get the help that they need. e. TRY TO TURN ALL SHOPPERS INTO A CONSULT — they are shopping because they need a good dentist and you have one! Ms. Laura Hatch provides this general dental practice management advice to furnish you with suggestions of actions that have been shown to have potential to help you improve your practice. Neither MGE nor Ms. Hatch may be held liable for adverse actions resulting from your implementation of these suggestions, which are provided only as examples of topics covered by the MGE program. NOTE: This article is being provided as suggestions and ideas for patient management use in your office. This is not to be taken as a guarantee that the information provided is appropriate to your practice. Each practice is individually responsible for ensuring that any system implemented complies with the applicable federal, state and local accounting, tax and employment laws, rules and regulations governing the place in which your practice is located. These suggestions do NOT constitute legal or accounting advice. You should seek advice from your own accounting, legal or a clinical advisor as to what is appropriate to implement in your practice, prior to implementation. MGE: Management Experts, Inc. and/or any of its officers, directors, employees, agents, representatives, students or clients are not responsible for any claims, real or otherwise, associated with this document or any part thereof.